More then likely you are familiar with the Clarke family through the little brother to this weeks featured Open Bottle - Shotfire Ridge Shiraz. Sam Clarke is a sixth generation winemaker that takes his responsibilities seriously, he is always researching how to add even more value in to all of his bottlings. Having the pleasure of Sam"s company at different events over the years I can say he is as dedicated to his craft as he is to his families heritage. "Thick and lush, with clove-scented red and black fruit flavors, showing accents of cedar, sandalwood and gingerbread on a seamless body. The tannins provide some velvety traction in the background, but the finish seems to go on forever, with waves of spice and green tea. Drink now through 2027." "From vineyard blocks around the winery, the 2015 Eden Trail Shiraz features hints of eucalyptus, cola and spice. It"s a savorier style than most will expect, with medium body, supple tannins and a crisp finish." "The nose shows ripe plums, licorice, damp earth, coffee, dried herbs and a woody note. The palate is full throttle, oozing more ripe primary fruit and less secondary characters than the nose suggests. The tannins are big and muscular and oak is fairly prominent for the moment, but this should cellar nicely. Drink 2020–2027." Lifted aromas of spicy dark cherries, boysenberries, blackberries and spiced plums with a hint of cedar. A full bodied wine; the palate is a maze of spice, pepper and dark fruits, the finish is bright and refreshingly clean. or $105.00 per six pack. At this price enjoy it all week long! Don’t want to miss the sale? A bit about Thorn-Clarke in their words….. The name Thorn-Clarke derives literally from the relationship of two long time Barossa families. Founders David and Cheryl Clarke (nee Thorn) work with their son Sam in this family orientated business. The Thorn-Clarke family has a long history in the Barossa – six generations of involvement in the regions world famous wine industry. 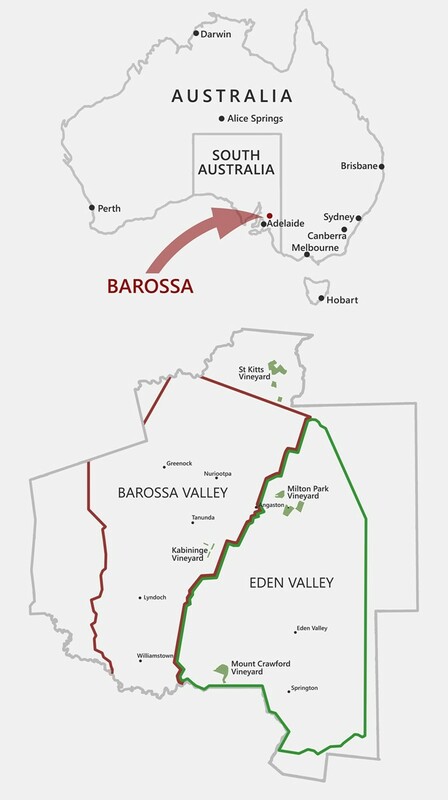 Today the Clarke family is one of the Barossa Valleys largest grape growers and winemakers with 270 hectares of vineyard spread across four sites in the Barossa and Eden Valley. Having grown grapes and sold the fruit to other wineries for a number of years the Thorn-Clarke name is relatively young as a winemaker with the release of the first wines in 2001. Cheryl Clarke’s ancestors settled in the Barossa in the 1870’s and for six generations have been involved in the wine industry. Cheryl’s father Ron Thorn’s property has some of the oldest Shiraz vineyards in Australia and possibly the world on the Thorn family property ‘Clifton’ outside of Angaston. Earliest records show this old vineyard was in existence in 1854. David is a vigneron and geologist which has proved a winning combination. He was formerly the Chairman of Australian Vintage Limited which, until its takeover by Simeon Wines Limited, was Australia’s second largest listed wine company. When not working and spending time with the family, chances are you will find David playing, watching or talking about his favourite sport – Cricket. 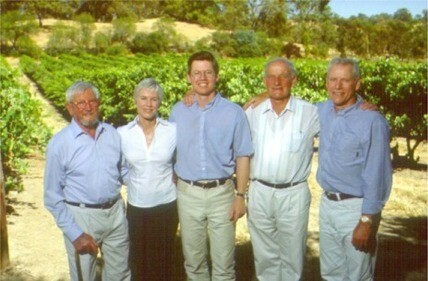 Cheryl’s family (The Thorn’s) have been involved in the wine industry for six generations. Cheryl was instrumental in establishing the Mt Crawford vineyard and in the late 1990’s succeeded in convincing all that Pinot Gris was the varietal of the future. The Pinot Gris has worked so well at Mt Crawford we can’t keep up! Sam is a member of our sixth Barossa generation to be involved in the Barossa wine industry. After having spent several years in various mining towns across the country working as an accountant, it was time to come home and help manage the family winery. On weekends Sam can be found spending time with his wife Helen and two daughters, or during the week having a very competitive hit of squash. Unsubscribe from the newsletter list.